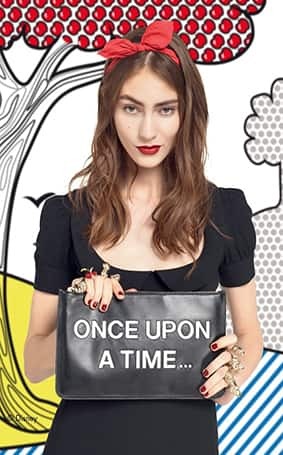 Heigh-ho, heigh-ho, it's off to"¦ the runway we go? Absolutely! 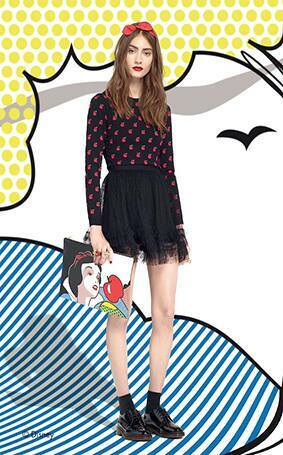 Keep your eyes open for Red Valentino's new Ready to Wear Fall 2014 collection- inspired by Disney's first princess, Snow White. The designer has used the princess' classic look of red, yellow and blue to create an array of cute and chic pieces to spice up your wardrobe. Featuring everything from a puffer coat to a denim romper, there's something to complement any style- or accommodate this ever-changing weather we're bound to keep having! Throw on a red bow and snack on a (poison?) apple and I guarantee you'll look the fairest of them all.